Some projects can create a surprisingly extensive ripple effect. They can inspire the creation of new projects or light a spark of curiosity within a single individual. 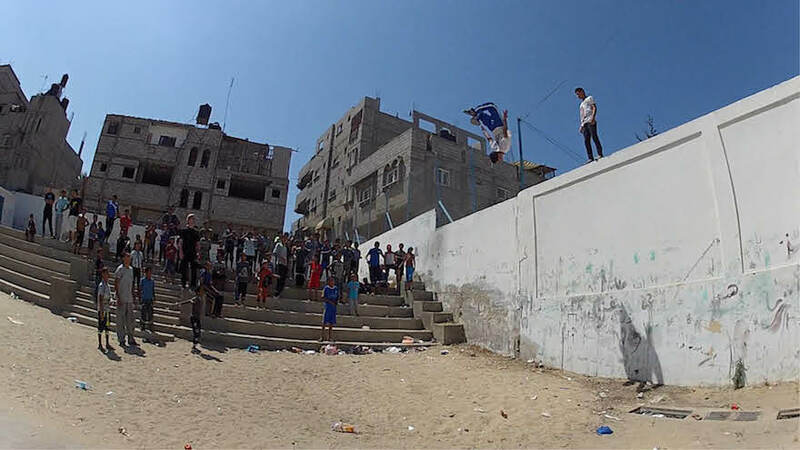 In this case, the project that is causing the ripple effect is a group of guys in the city of Khan Younis, Gaza, who use parkour to find common ground and hope in an area of the world where that is exactly what is needed. 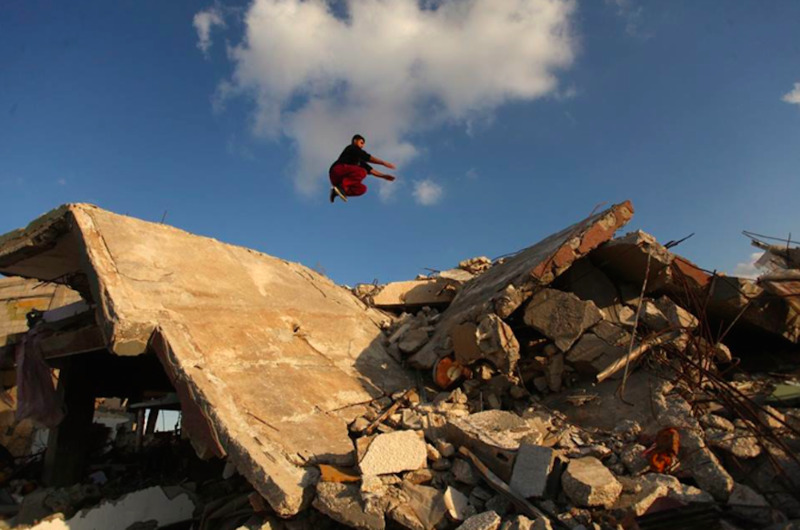 Who would ever think that one of the things you might end up seeing when walking around in Gaza is a bunch of young guys practicing parkour in the middle of the ruins. 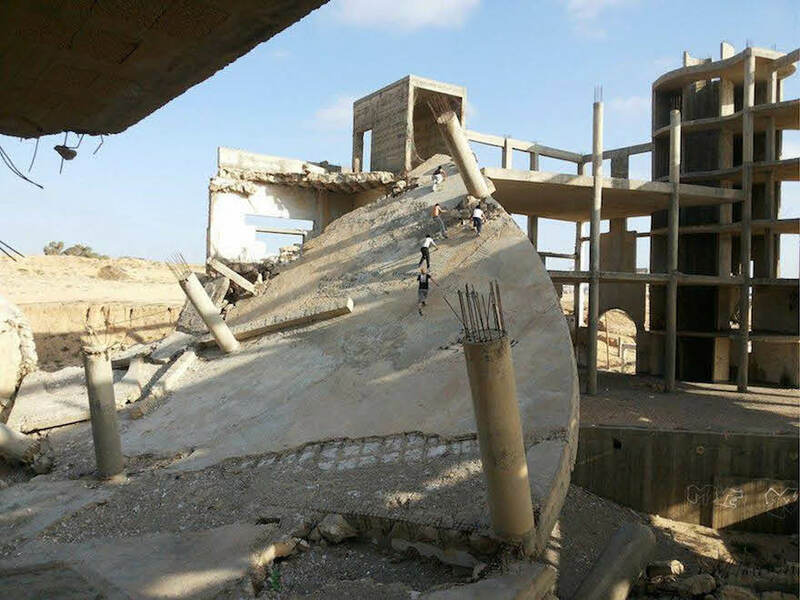 Well, if you happen to be in the city of Khan Younis, and you walk around when school is over, that is likely to happen. 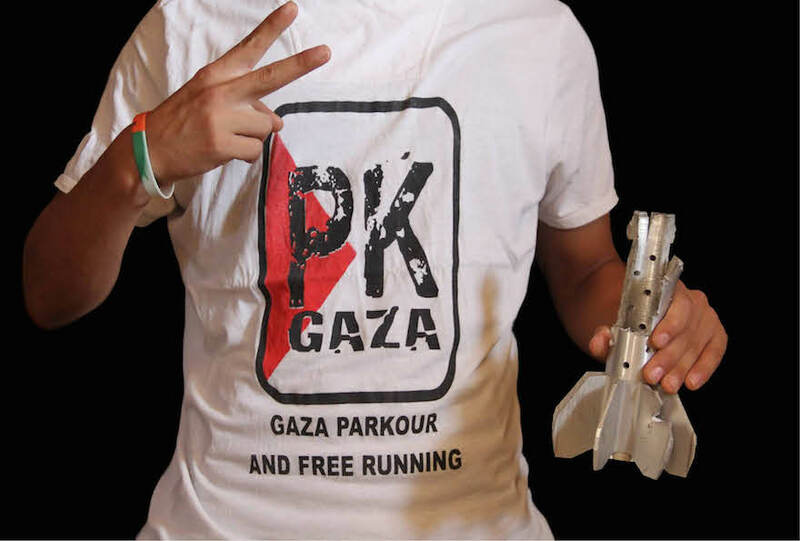 I had the great pleasure of interviewing one of the gents from PK Gaza, Ahmed Matar, to hear more about the organisation and their plans. 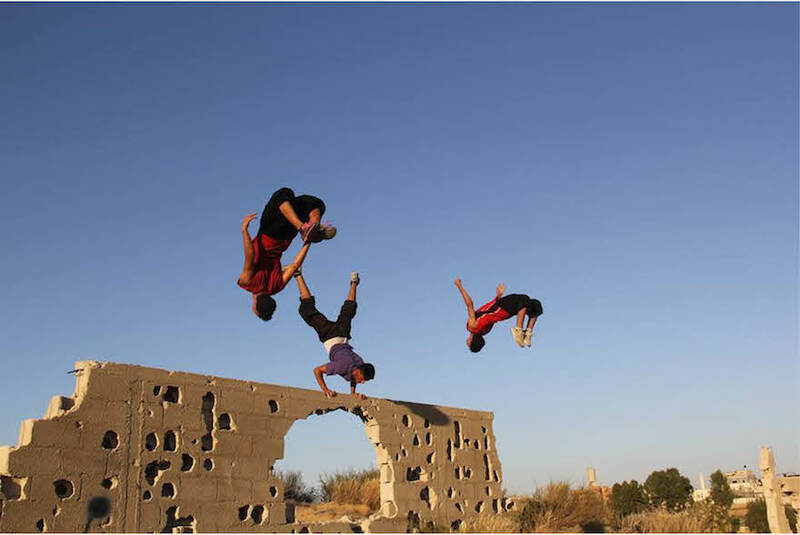 After the withdrawal of the Israeli army from the Gaza Strip back in 2005, Captain Mohamed Algakhbeer and Abdallah Enshasy created the very first parkour crew in Gaza, a crew that’s now seen as the best parkour team in the Arab world. Back then, it was just the two of them, but steadily the numbers of member in the crew have grown and now they are up to 18 official members from age 17–25. Every day after school, they practice the sport that brings them together. 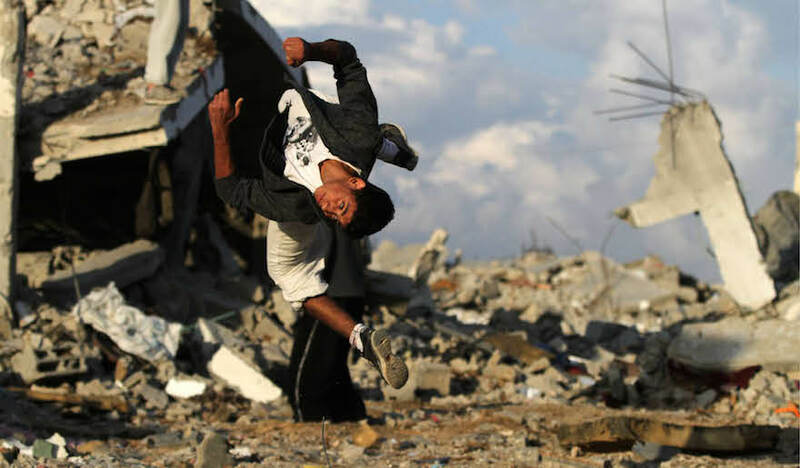 But compared to most people practicing parkour, or any other sort of sport, they have to deal with a rather different problem. 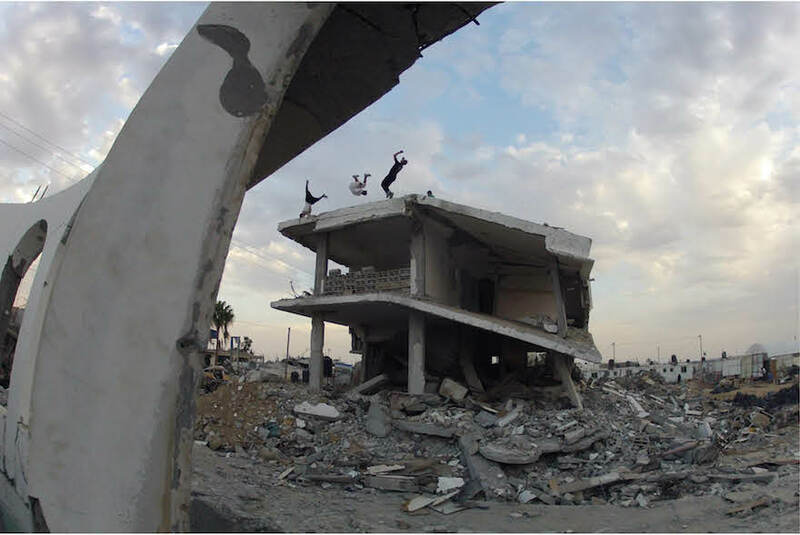 Besides the constant threat of bombs flying around, they can never be sure if the space where they trained the day before is still going to be there for the next practice. 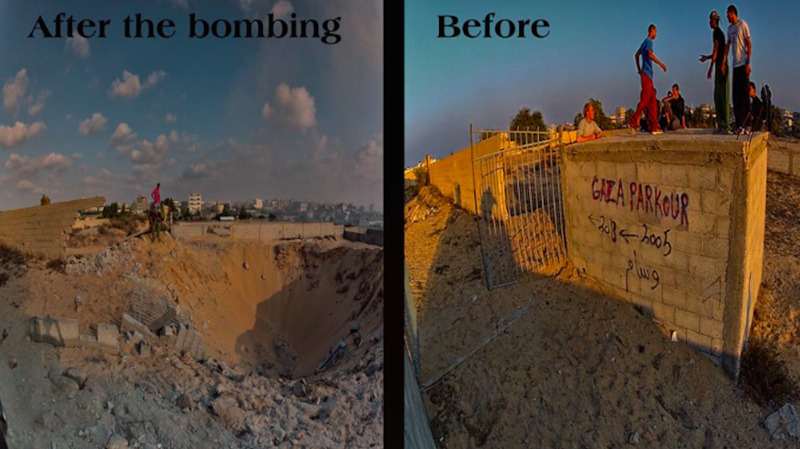 One day there’s a wall and a house to use for practicing, the next day there might just be a big crater in the ground. 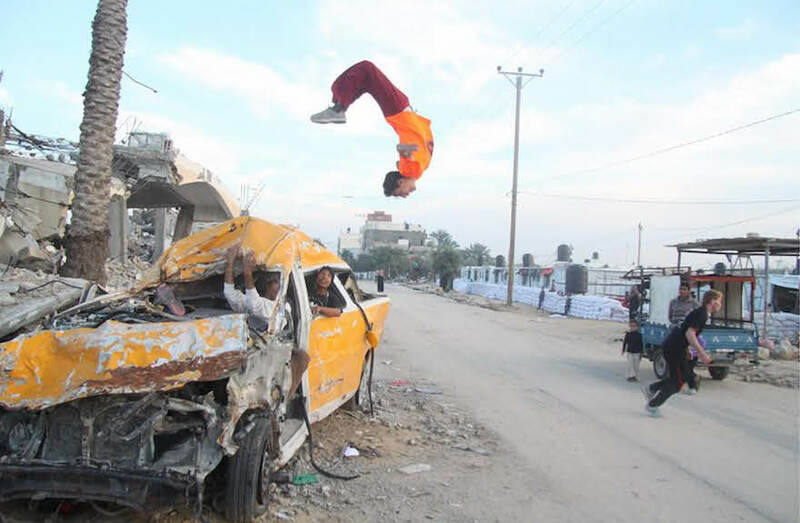 But this most certainly doesn’t stop them—on the contrary, according to crew member Ahmed Matar, parkour has brought meaning to his life, and hope to the people around him. They might not have much, but what they do have is the choice to not let anyone take their dreams and goals away from them. 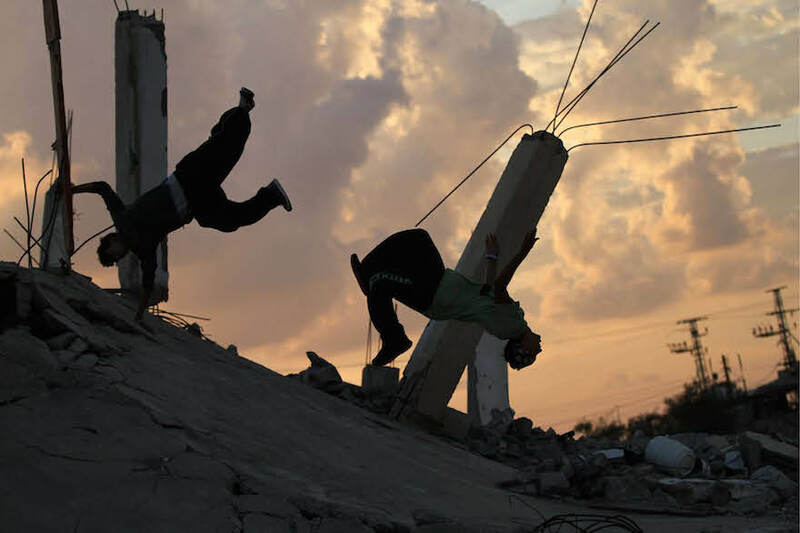 By practicing parkour on a daily basis and doing shows for various audiences, they spread power in a way that no outside organization or person could ever do. 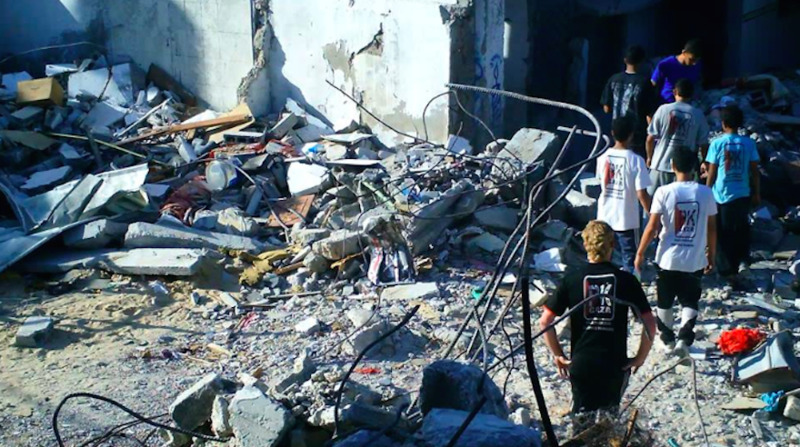 Their way of interacting with their surrounding brings beauty to places that normally are seen as ruins. One of their goals is to get a safe space to practice, as well as a space where they can teach youth about the sport and the mindset that comes with it. 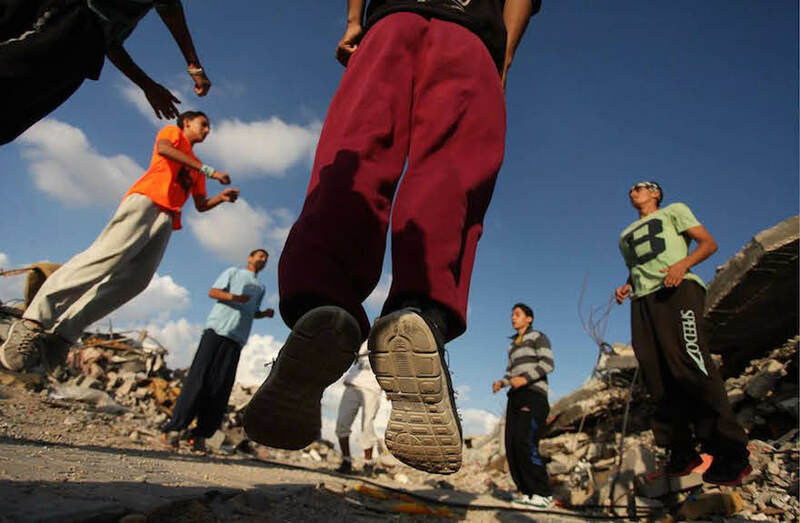 Right now they are in Gaza, but they would like leave the country as to be able to practice with people from other areas of the world, learn as much as possible and, most importantly, let people know what is going on in their area of the world. And if they can’t leave, they wish that others might come to them. 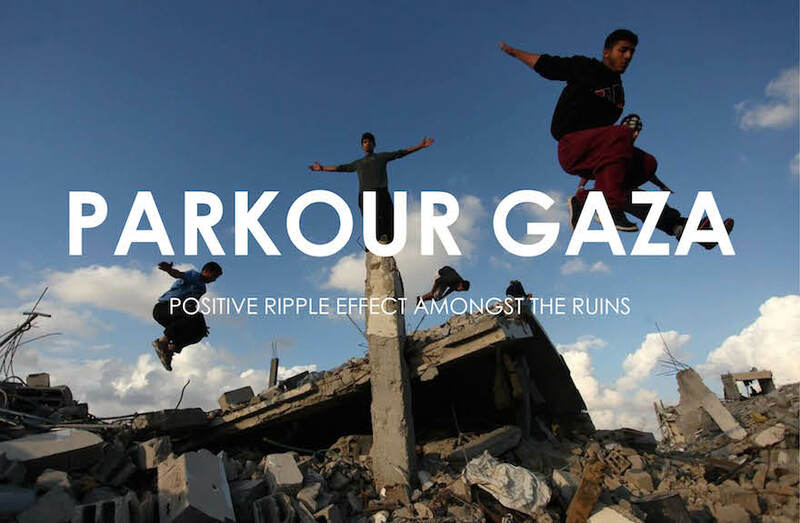 By shedding light on things other than the suffering taking place, Gaza Parkour wants to show the outside world that by doing good and by spreading hope, you become strong and you can create positive change. 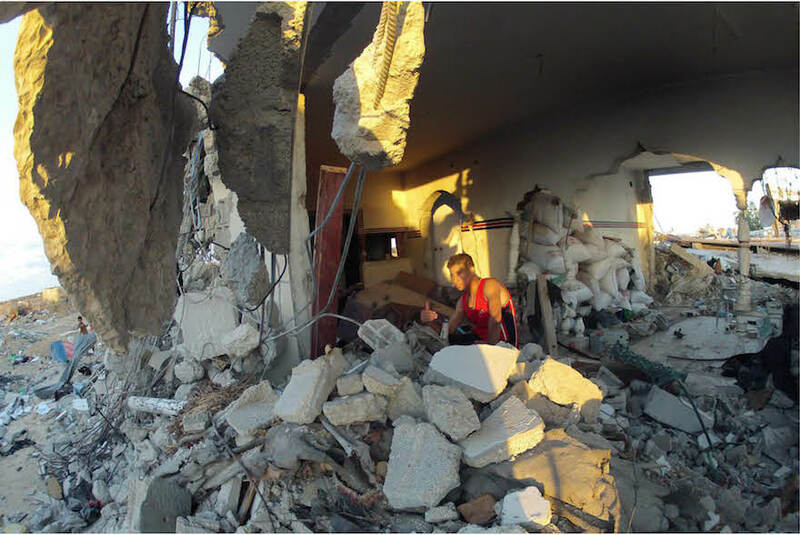 The people of Gaza do not let the bombs and the guns stop them from living their lives, it does not quiet down their spirit or strength, and it doesn’t stop them from developing and growing. 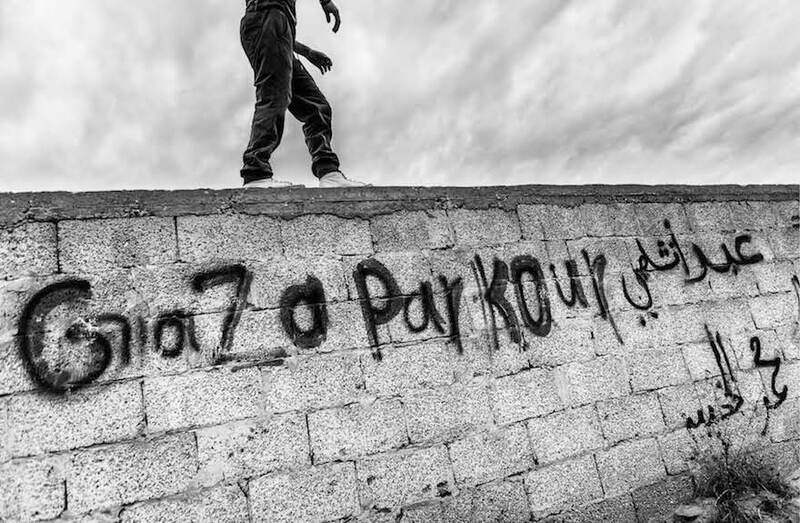 Thank you to Yasser Fathi Quidh and Vycheclav Guz for being such amazing photographers and for letting me use your pictures, and to Mohammed Nabeil Amer, Gaza’s only B-Boy, for stepping in as a translator!